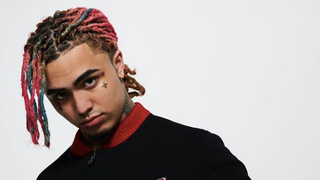 Following “Gucci Gang” hitmaker Lil Pump’s career can sometimes feel like whirlwind: The 17-year-old rapper (real name Gazzy Garcia) signed to Warner Bros. Records when he was just 16, only to leave the major label in 2017 and return to them earlier this week. Warner’s COO announced the move with: “This new chapter promises to be even more extraordinary than the last, and we can’t wait to unleash Pump’s powerful new music to the masses.” It seems like they’re already at work on that last part! On Wednesday, March 14, the day after the new Warner Bros. news, Houston rapper Riff Raff shared a short video on his Instagram account with a snippet of a song featuring both rappers. In the clip, Pump punctuates each line with a “damn,” (i.e. “Look at my shoes, it’s Giuseppe, damn”) and you can already imagine this song coming on a party music playlist or in an Uber. The beat is by producer Diablo, who has worked with Pump as well as Lil Yachty and Diplo.